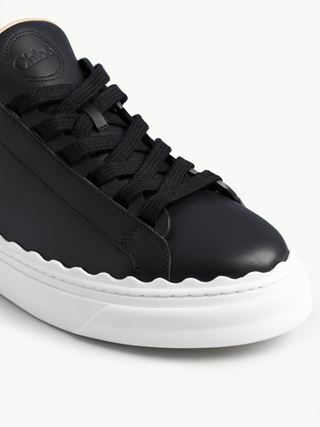 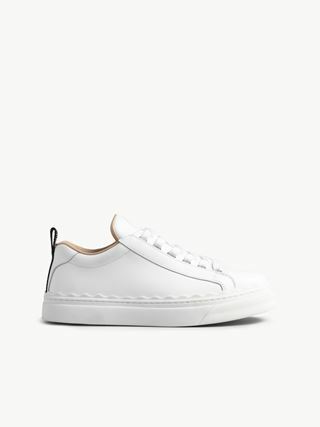 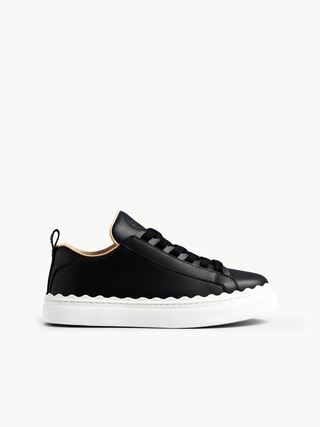 The Lauren family's active daywear option, this lace-up sneaker is cut from smooth pink calfskin in cool contrast with the white sole. 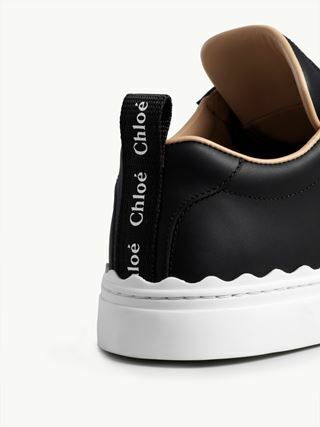 Tonal laces, a flexible rubber sole and a contrasting nylon back loop revealing the Chloé logo all enhance its sporty aesthetic. 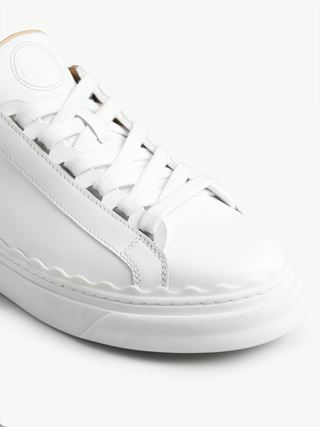 The signature Lauren scallops echo the line’s romantic DNA, while the round toe shape lends a feminine finish.